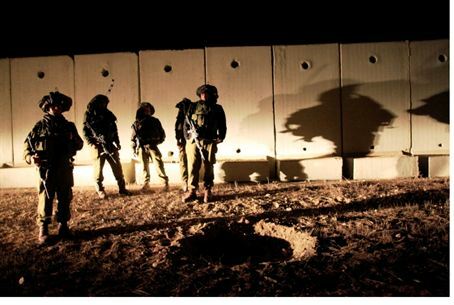 Sunday evening, Gaza terrorists fired several mortar shells at an IDF force operating near the Gaza border. The attack occurred in the Northwestern region of the Negev, near the Kissufim border crossing. This was the second reported mortar attack on IDF soldiers in the Negev in the past 24 hours, and the second act of violence near Kissufim this week. On Thursday afternoon, terrorists in Gaza also fired mortar shells at an IDF patrol unit near the security border that separates Israel from Gaza. The soldiers responding by shooting in the direction from which the mortars were shot. There were no injuries or damage then either. Earlier Wednesday, a group of terrorists in the same area shot at IDF soldiers near Kissufim, close to the security border there. No soldiers were injured from the shots, and in response they fired in the air.